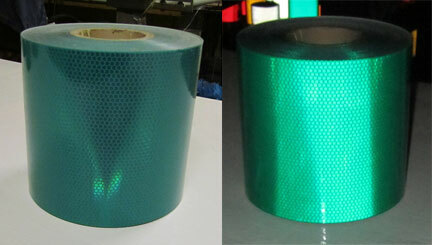 Green reflective tape is used for a variety of applications. This material is available in 1″, 2″, 3″, 4″, 6″, 8″, 12″ and 24″ widths. The color green generally designates that an area is ok to go into. It is also used for the background of informational signs. It is also used on channel markers, bollards, signs, gates, dumpsters and other objects that need to be seen at night. 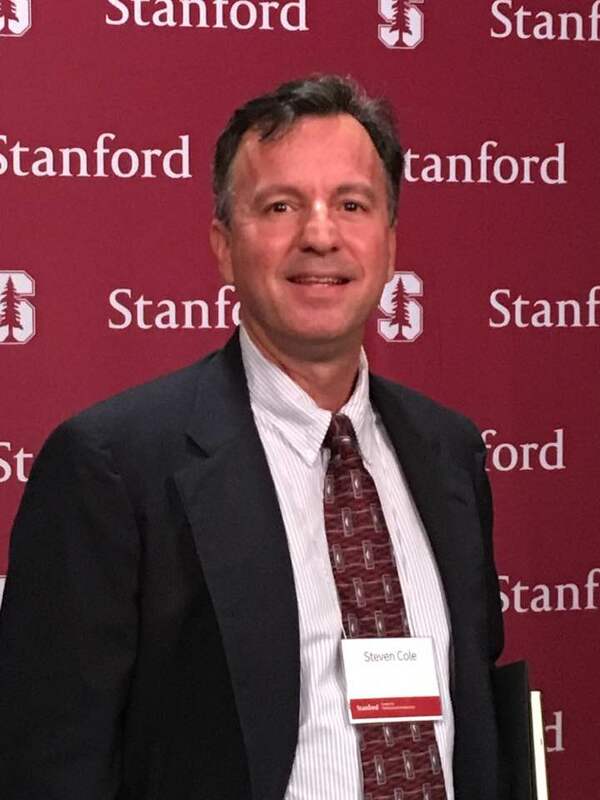 For example, a gate that was ok to to enter would be mark with green reflective tape while a gate that was off limits would be marked with red. Colored tapes are not as bright as white tape but they do have the advantage of reflecting a color that in turn sends a message to the viewer. White is bright but often looks like a car headlight. The tape to the left is our Green CRG or Crystal Grade tape. It is a type 8 film and is widely used as the background for interstate signs. It is a stiff, thick film. (about the thickness of a guitar pick or credit card) It reflects at an intensity of 70 candelas. It is great for flat surfaces. It is too thick to bend around corners. In the picture above, the roll on the left is our V92 Daybright Green reflective tape. It is roughly the thickness of two sheets of paper. It is rated for 5 years. On applications out of direct sunlight it will last longer. The intensity of V92 Green is 75 candelas. The High Intensity Type 3 green rolls have the honey comb pattern and use microscopic glass beads to reflect light. Green High Intensity reflects at at rate of 45 candelas. It is a 10 year rated tape. Lastly, our flexible engineer grade green reflective reflects at approximately 28 candelas and is our most affordable tape. It has no pattern and is widely used for vehicle graphics, letters, numbers and striping. Flexible engineer grade can be CAD cut. The links below will take you to our online stores.